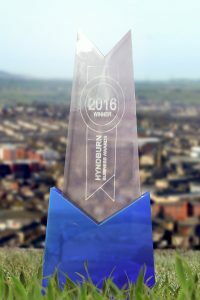 When Enterprising People organise a local Business Awards competition, they always try to showcase the skills and talents of everyone in the area. Hyndburn Business Awards was no different. 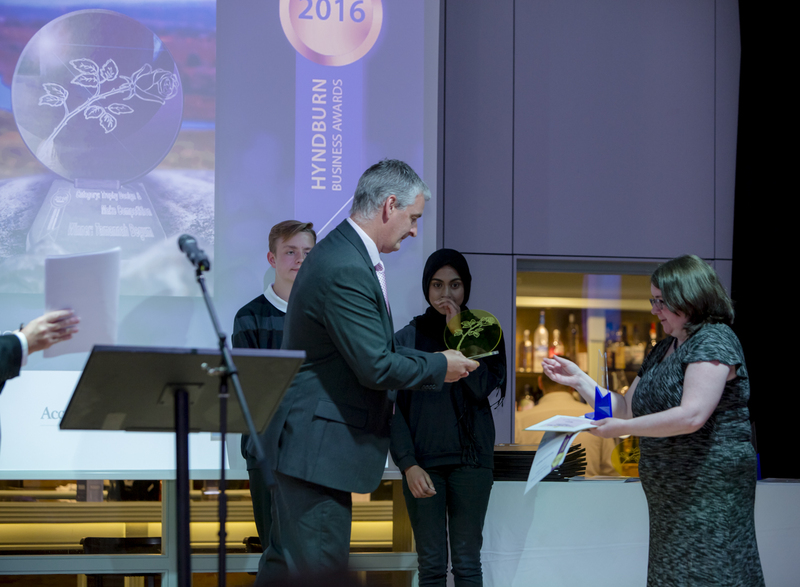 Their aim was that every element of the competition was designed and created in Hyndburn. This included the website (designed and created by Plus Internet of Oswaldtwistle), all of the design and print work (supplied by Ellison Printing of Rishton), and the food at the ceremony (lovingly made by Roots Restaurant at Accrington & Rossendale College). 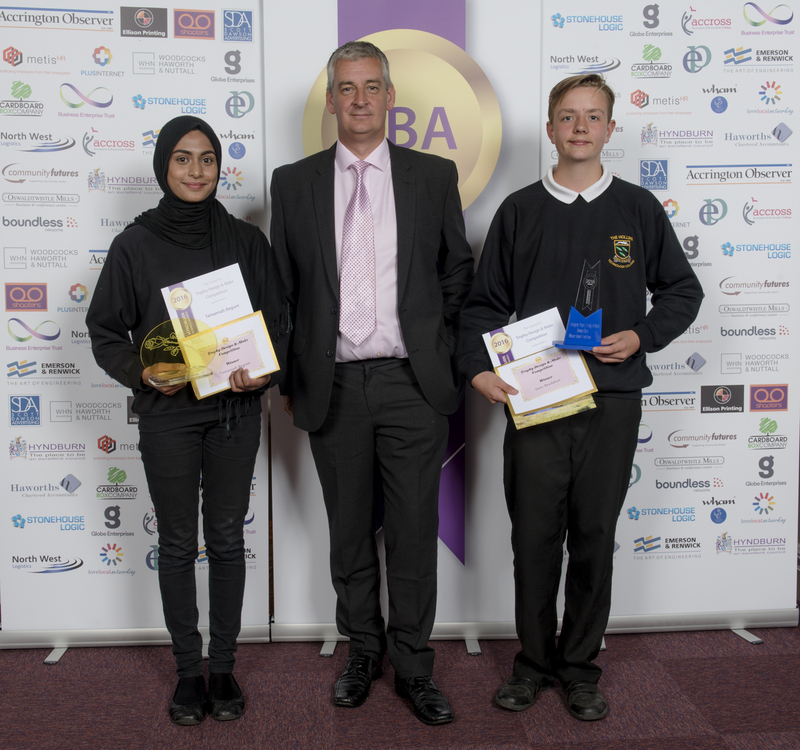 Year 8 students from Accrington Academy and Year 9 students from Hollins Technology College took part in the competition, submitting designs of which four from each school were taken forward to the final. The students submitted designs then were asked to make prototypes, out of which were chosen the winning trophies. 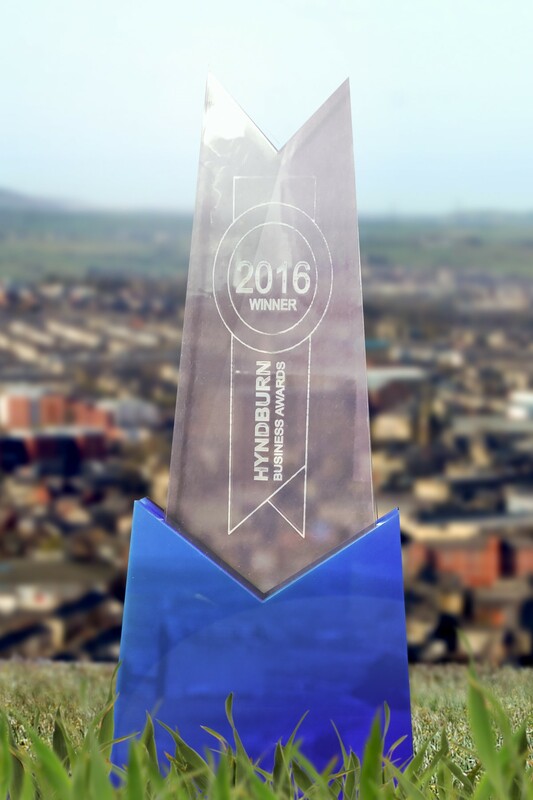 The result was that two stunning trophies created by students from The Hollins Technology College were selected for the inaugural Hyndburn Business Awards. 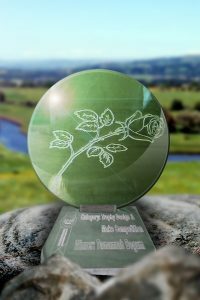 Hollins then worked to produce duplicate copies of the winning designs in acrylic for the first ceremony, which took place at the Ballroom of Accrington Town Hall on June 14th 2016. Isaac’s design was used for the 15 individual categories while Tamannah’s was used for the top trophy, the Stonehouse Logic Award. Tamannah and Isaac were invited to the inaugural ceremony, along with their parents and representatives from the school. 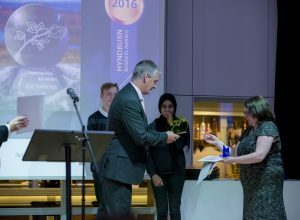 At the beginning of the ceremony they were introduced to the 250 strong audience by Graham Jones MP, who presented them with a certificate, a gift voucher and an engraved trophy made from their winning designs.